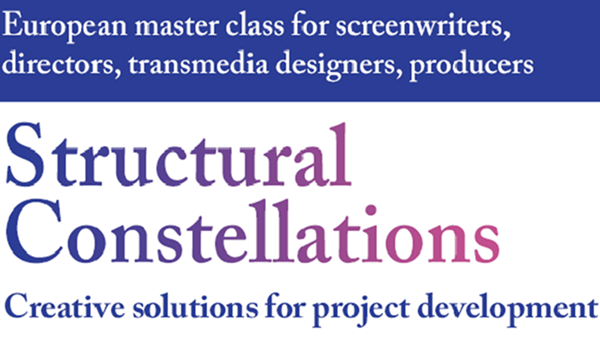 STRUCTURAL CONSTELLATIONS – European Residential Master Class by our partner FOCAL – IS OPEN FOR APPLICATIONS until March 10th! The entire European industry agrees that for economic growth and cultural diversity within the audiovisual industry, creative development remains crucial. In other words, the “golden” triangle – scriptwriter, director or transmedia designer and producer – is at the heart of any successful project development. The ambition of Structural Constellations is to foster interdisciplinary co-operation within the development teams and to strengthen its actors’ creative skills in order to improve the quality of the scripts while fostering a market perspective to reach a larger audience.What you get from STRUCTURAL CONSTELLATIONS? •Acquisition of techniques and tools to apply autonomously to other projects and to solve problems/conflicts with any team. STRUCTURAL CONSTELLATIONS offers a shared and unique creative experience. Upon completion of the two Modules, the participants will have acquired precise, comprehensive and practical know-how and skills on behalf of their current and future projects. This intensive European Master Class proposes an interactive and pragmatic approach among peers, drawn up by Matthias Varga von Kibéd and co-animated by Marcus Richmann during the first module and Marc Wehrlin during the second module. 20 to 25 participants with a film – fiction or documentary – or a transmedia project in development. Preference will be given to applicants in maximum 3-person teams (screenwriter, author-director/director/new media designer, producer, script consultant), but applicants by individuals are also eligible. The fee includes tuition, accommodation and meals. Travel costs are not included. primarily for participants from low-income countries. Professor of logic and philosophy of science and his wife, psychologist Insa Sparrer, have developed Systemic Structural Constellations since 1989. Matthias Varga von Kibéd has been a lecturer for over 20 years and has written many scientific publications. He has applied Systemic Structural Constellations in numerous programmes for filmmakers. Marcus Richmann works as a systemic therapist (individual synthesis), imagination/dream therapist and business coach in Berne. He offers screenwriting structural constellations as well as therapeutic family and organisational constellations. He is also the author of novels and screenplays. Freelancer for different cultural and cinematographic organizations, Marc Wehrlin has a vast experience as mediator and practitioner of the Systemic Structural Constellations.